Lately, I’ve been seeing many local Indonesians come up with handmade beauty brands. To be honest, I never touch local brands anymore because I’ve tried a few in the past and they just didn’t work for me. Too many pet peeves, the biggest one being the pungent artificial scent. And the too-affordable price tags alarm me too. Call me skeptical, sure, because I am. With this new breed of handmade cosmetics, only a handful that piqued my interest. 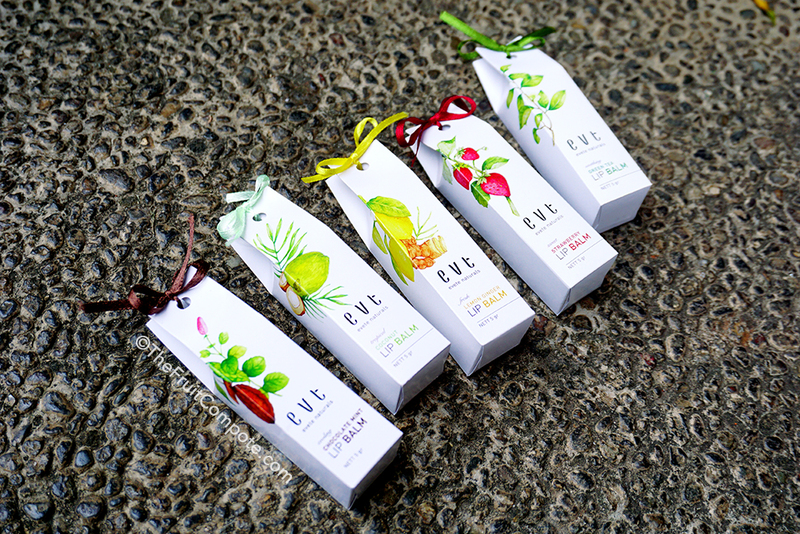 One of them is Evete Naturals, a Yogyakarta-based small brand. It pronounces as “i-vet” which means feminine in Italian. The people behind the brand are three best friends with chemical engineering background who have a love for beauty products and a passion for a healthier lifestyle. The brand prides itself in using quality natural ingredients with no mineral oil, no parabens and no artificial colorant. Currently, the brand offers two products, lip balms and body butters. 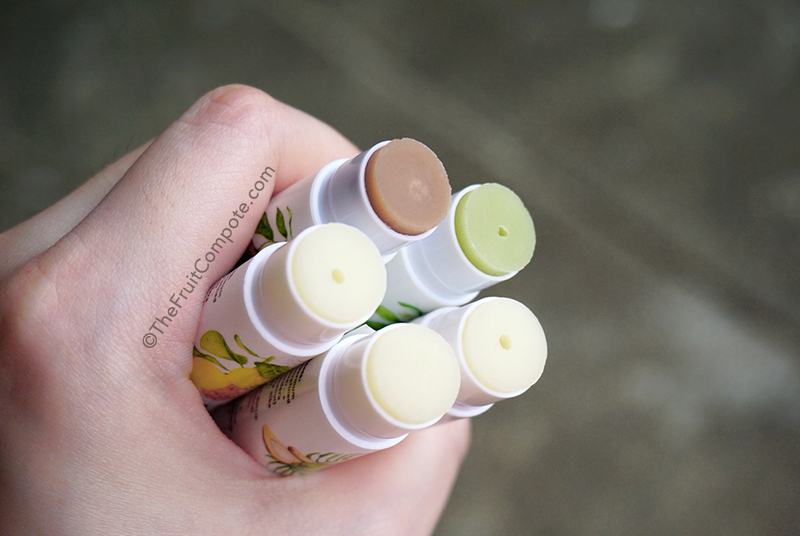 Today, I’ll be reviewing the lip balms first. I’d be lying if I said I wasn’t interested because of the presentation. It’s got charm to it, a flair with a specific taste that refers to the whole ‘natural’ aspect. I think it’s done beautifully, with custom illustrations representing each of the lip balms. These would make perfect gifts too. The lip balm itself is packaged in a classic stick, twist-up tube. I can’t find any fault in such simple, straight-forward design. The only thing that I will add is, I wish the labeling could have a better adhesive. One of labels have peeled off and won’t stick properly. But, I can just use a tape and be done with it. What’s inside, is even better. 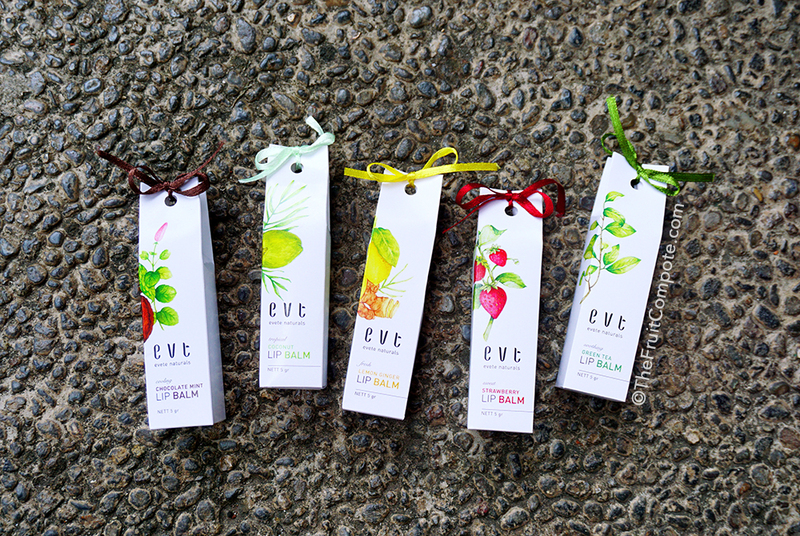 Ingredient-wise, these lip balms contain unrefined shea butter, virgin coconut oil, beeswax, sweet almond oil, castor oil, and vitamin E. For the ‘flavor’, Evete Naturals uses oils such as strawberry, green tea, coconut, lemon peel, ginger, peppermint as well as cocoa and green tea powder. I’ve been using these, pretty much about 70% exclusively for almost two months now. I cheat more at night time. Believe me, this is very hard to do because I do have my own lip care routine, but hey I’m always on the hunt for the next great lip balm. They’re colorless, despite the color on the Chocolate Mint and Green Tea. The color came from the cocoa and green tea powder. All five have about the same formula, consistency and feel. They were all quite creamy yet remain thin and slick when applied, leaving a sheen finish. They do feel slightly bit slippery, but I don’t find it bothersome. The first good sign is that they don’t peel my lips. The lip balms wrap my lips, moisturize them and keeping them hydrated, although I don’t find the formula to be necessarily hydrating. But they keep the moisture inside for long hours and that’s something I always look for in my lip balms. For the most part, they do a great job, especially at the IDR 40,000 price tag they came in. But when my lips are acting up, or when I’m not feeling well, I do need something more potent to really help my lips. As I said, they are better at moisturizing than hydrating. They provide a nice base under lipsticks as well. I do blot my lips first to remove some of that sheen before applying my lipsticks, especially the matte ones. 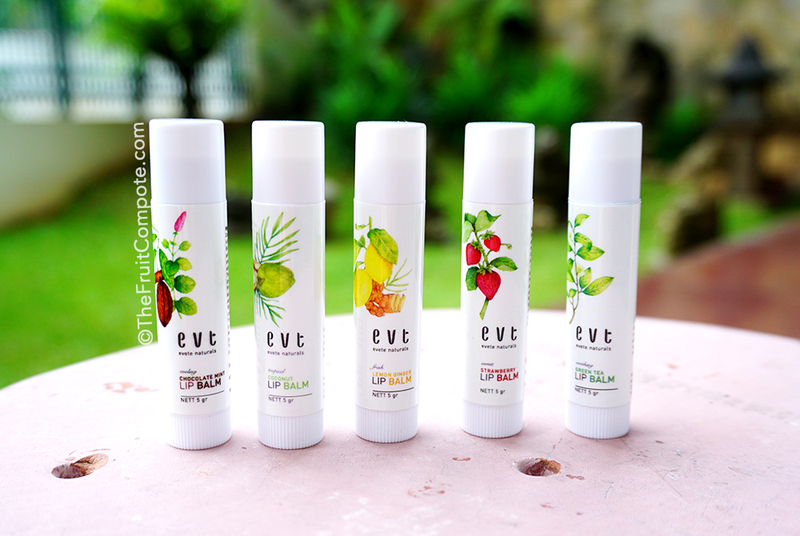 I happily say that Evete Naturals Lip Balms will replace my Nivea Med Protection Lip Balm SPF 15 simply because they do a far better job at sealing the moisture inside my lips. Disclosure: products were sent in exchange for a review. All opinions are 100% mine, as always.